Ther ethical society's meeting hall and amazing concerts. Description: Conway Hall hosts a wide variety of lectures, meetings, classes, performances and community events. Over 130,000 people pass through our doors each year! Conway Hall is home to the world's longest running continuous series of chamber music. Concerts are held most Sundays at 18.30h from October to April. 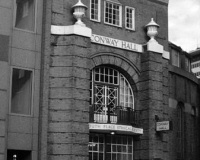 Conway Hall is also well known as a centre for contemporary classical and experimental music of the highest calibre. Conway Hall is renowned as a hub for free speech and progressive thought. In recent years we have seen on the platform speakers such as Salman Rushdie, Will Self, Tony Benn, and Mary Robinson to name but a few. Every Spring it hosts one of the oldest series of classical concerts in the world. 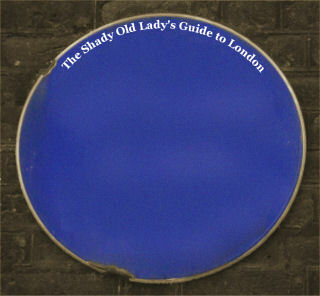 They have been taking place since 1887, forming a direct link with the musical life and reforming ideals of late Victorian London. The concerts owe their existence to the ideals of Moncure Daniel Conway, an American freethinker, anti-slavery campaigner and friend of Emerson, Whitman and Mark Twain. Born in Virginia in 1832, he graduated from Harvard Divinity School and was ordained a Methodist minister. As his beliefs took a more humanist cast, he went over to the Unitarians, before leaving the church in 1862. His opposition to slavery brought him into conflict with his family (his brothers fought under the Confederate flag in the Civil War); his advocacy of a truce in that conflict brought him into conflict with his fellow abolitionists. Alienated from church, family and friends, Conway settled in London, where he joined freethinking circles and became a leading light in the South Place Ethical Society, a humanist group which had held its meetings at the South Place Institute in Finsbury since the late 18th century. In 1974 The Conway Hall was at the epicentre of the Red Lion Square disorders which resulted in the death of a student Kevin Gately. On June 15th the National Front marched through the West End to Conway Hall while the London Area Council for Liberation conducted a counter demonstration.